Nestled just a few miles from the Anglesey coastline, in an Area Of Outstanding Natural Beauty, Anglesey Yurts is a luxury campsite with a taste for adventure. Set within a secluded orchard on a traditional small holding, we provide an idyllic retreat from which to enjoy all of the activities and the beauty that the island has to offer. 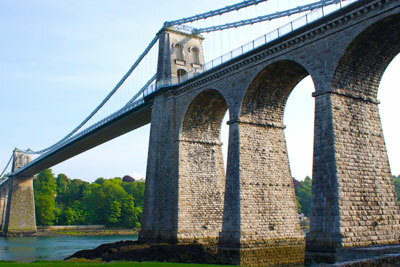 A holiday with Anglesey Yurts combines the amazing outdoors with style and comfort. If you’re looking for an unique rural retreat or a family getaway, a holiday with Anglesey Yurts will provide a truly memorable glamping experience. 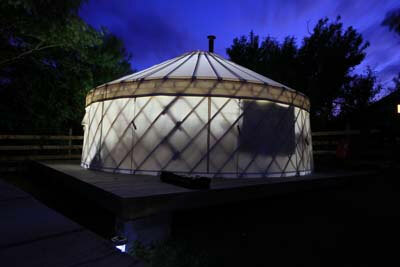 Our yurt sleeps up to 5 guests and boasts its own fire pit, barbecue, picnic table and benches. There is also a hammock – perfect for relaxing and watching the world go by. 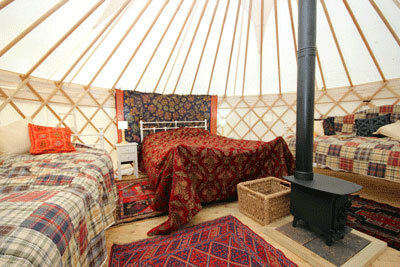 The yurt benefits from it’s own kitchen and shower room situated close by. The kitchen is fully equipped with full-size cooker and fridge, a washing machine is also provided. We are dog friendly and ideal for families, friends, couples or groups, who want to relax, unwind and enjoy the beautiful Isle of Anglesey. From walking to kayaking, or simply relaxing on one of Anglesey’s many beaches, you won’t find yourself short of fun and enjoyable things to do during your stay at Anglesey Yurts….